If your faucet is running slower than normal, backflushing may fix the problem. Backflushing a faucet removes deposits left behind by sediment and hard water. This will loosen up debris to get your faucet flowing at the right pressure again. Perform this procedure on older faucets that under-perform and lack the water pressure you need. Backflush a faucet to rid it of deposits and sediment buildup. Close the cold water valve on the water heater to stop the supply of cold water to the hot water heating tank. This valve is usually on top of the hot water heater, but refer to your water heater's manual since the location may differ among various models. 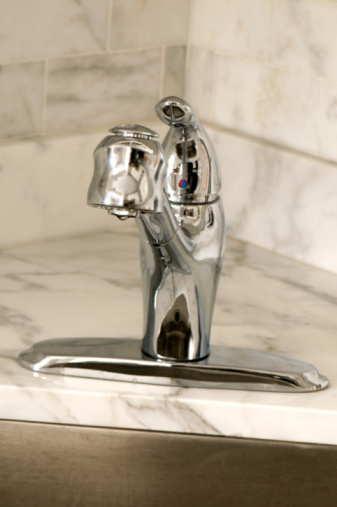 Turn on a faucet that does not have a flow rate issue and leave it on, to allow the water to flush out of it. Unscrew the cap on the spout of the faucet you are going to backflush. Insert a backflush adapter into the aerator and screw it back on the faucet spout. You can also insert a solid round object in place of the aerator screen, such as a dime, to block water flow and simply screw the cap back on. 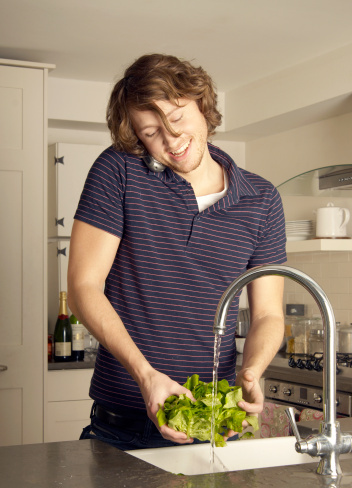 Turn on the hot water tap and then the cold water tap to start backflushing. Let the system backflush for about a minute. Close the faucet valves. Take the backflush adapter off the faucet after the backflush is complete and turn the cold water valve back on to resume normal operation of the faucet. Why Is the Water Pressure Low in My Moen Kitchen Faucet?